Yellow field Kuba (i.e. Possibly Seichur.) 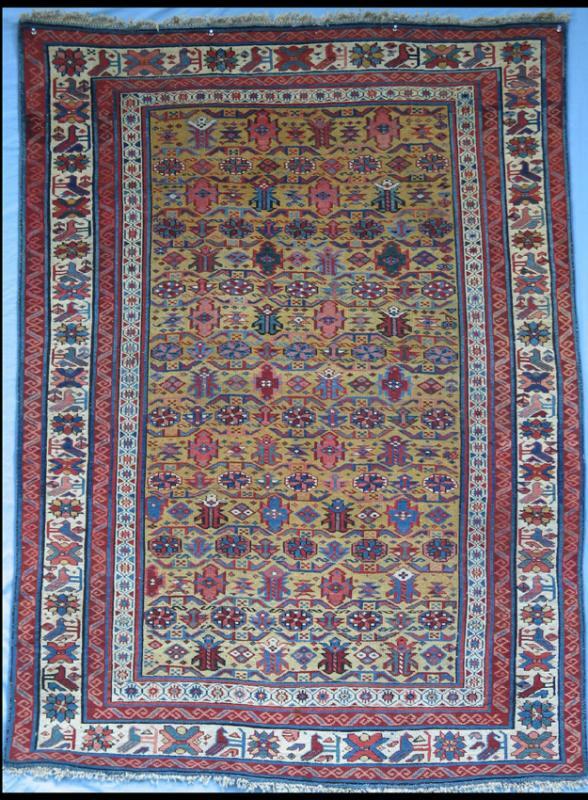 Age: 4th Quarter 19th Century Size: 66" x 48" Good condition, original ends, natural dyes, moderately fine weave, wool foundation, average pile height is 70% of original, minor reweaves.